"Jobs To Be Done" is a radical but simple new framework for thinking about your customers' needs and how to meet them. Download our new ebook to learn how to turn customer insights into innovation that gets your brand "hired" every time. If you’ve done insights or innovation work, you know “Jobs To Be Done” (JTBD) is a framework for thinking about your customers’ needs and how to meet them. By examining what customers are actually trying to achieve, you can create better products, solutions and services that customers want to “hire” for the job at hand. It’s a smart way to uncover hidden business opportunities, align innovation to solve real customer challenges and foster growth within your organization. Download our ebook to learn the key components of JTBD and when and how you can use this new approach to fuel your business strategy and drive brand innovation. We love talking about this stuff! Learn more about our Innovation Consulting services. Thanks for downloading! 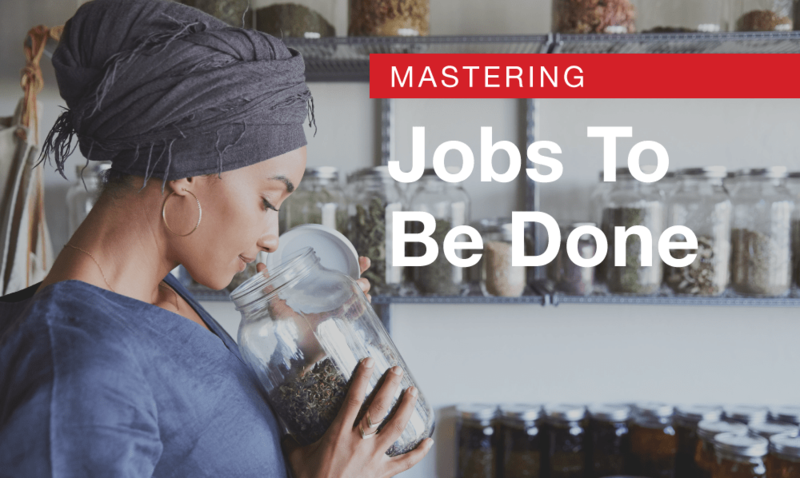 Click below to access your copy of "Master Jobs To Be Done".